No more rain breaks at Wimbledon! Since 2009, the weatherproof harmonica roof over the legendary Centre Court has ensured that tennis fans have a fun, trouble-free and uninterrupted experience. The highly sophisticated roof construction has a surface area that is roughly equivalent to 7,500 umbrellas. 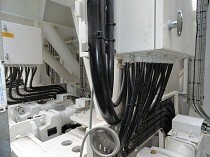 The cables used in the smooth drive for the complex sliding mechanism come from Lapp. In 2004, the company SCX Special Projects Ltd was commissioned by the All England Lawn Tennis and Croquet Club to equip the long-standing Centre Court with a weatherproof sliding roof – a measure intended to provide more certainty when it comes to general planning. For reasons of space, a conventional sliding roof was out of the question. And so the architects developed a complex special roof construction with harmonica folds. The refined special roof with harmonica folds weighs 1,000 tonnes, can be opened or closed within ten minutes at the click of a button while withstanding wind speeds of up to 70 kilometres per hour. 36 electric linear drives are needed to unfold the 5,200 square metres of special Tenara fabric – a waterproof and transparent material. Additionally, 214 motor-driven components are used to control the roof – these are fully automated and work in perfect harmony with each other. The complex opening and closing mechanism requires highly flexible electric cables which can withstand constant bending and at the same time impress with their excellent weather resistance. To avoid any functional limitations and to optimally coordinate the controlling and movement of individual motors with one another, premium quality Lapp products from the ÖLFLEX® Servo FD range were used. 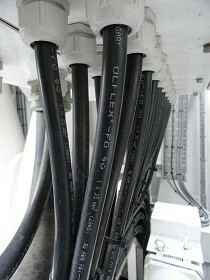 The ÖLFLEX® Servo FD cables used are combined connection and control cables which reduce both the number of cables required and the time taken for assembly. With their weatherproof and low-adhesive outer sheaths, the highly flexible FD cables achieve over five million cycles under test conditions, making them ideal for permanent and reliable use at Wimbledon. With the introduction of the weather-resistant retractable roof, rain breaks are finally a thing of the past for everyone. 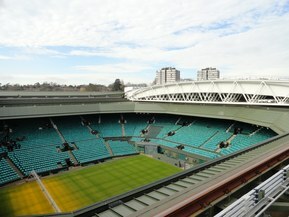 The roof was completed on schedule for the 2009 Championships. 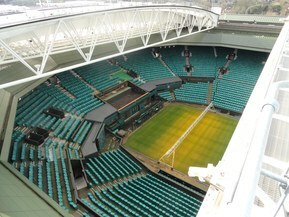 15,000 spectators were present when the canopy was unveiled at a friendly doubles match featuring Steffi Graf and André Agassi against Kim Clijsters and Tim Henman. Since 1877, the All England Croquet and Lawn Tennis Club has hosted the Wimbledon Championships. Originally, the event was a recreational tournament for club members and their friends and relatives. Over the years, Wimbledon has become the stuff of legends and is now one of the most prestigious tennis tournaments in the world.